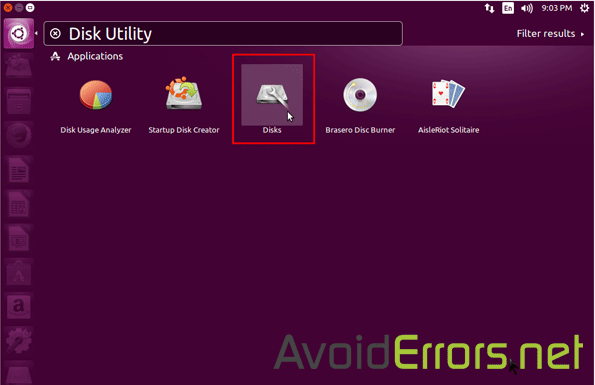 Ubuntu media disc lets you create disk images of any version of Windows OS, so you can easily restore the OS plus data in case of a system failure or malfunction. 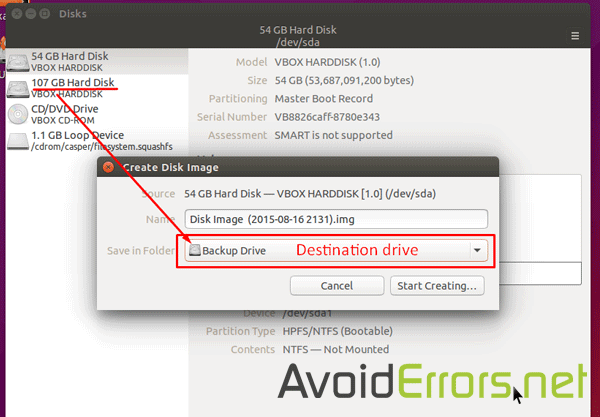 This type image back up will not format or delete any data on your backup drive. It’ll just create a .img file on the drive or selected folder in the drive. I recommend to backup to an external or an additional internal drive and not the source drive. 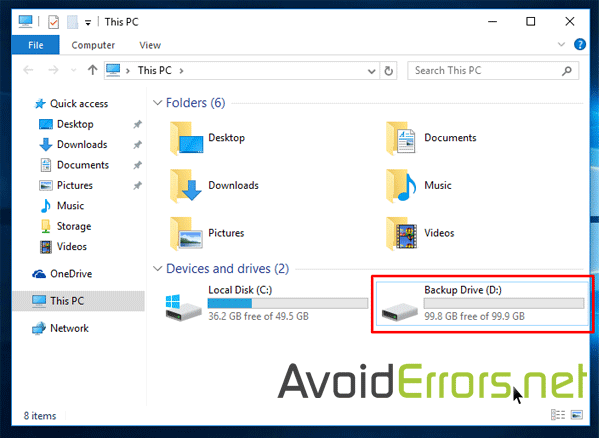 First make sure the backup drive is viewable when you access This PC in Windows. 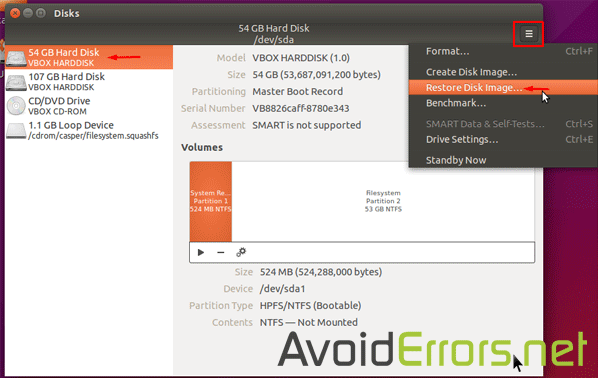 Also make sure that the drive is larger than the spaced used on the C: or source drive. To do that hover the mouse over the C: drive, right click -> Properties. Second: Download Ubuntu, and burn it on to a disc. Third is to change first boot device in BIOS to boot from CD/DVD. 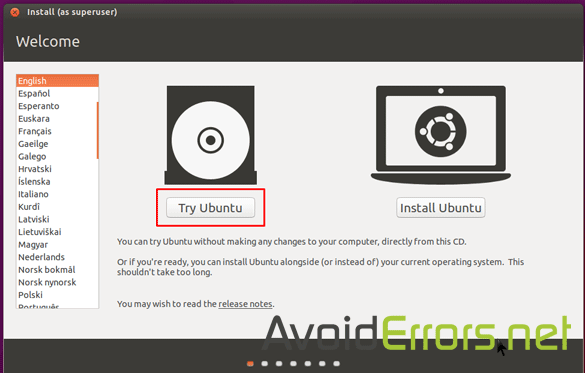 Ubuntu live disc will kick in prompting you to install or try it. Here Select Try Ubuntu. Now do a search for Disk Utility and click on Disks from the results. In the disk Utility Select the source drive (C: drive), click on the gear or burger icon to the right of it, and select Create Disk Image… from the drop down. In the Create Disk Image popup window the source drive would be preselected, you can change the name of the backup if you like, but you must select the drive or folder from the Save in Folder drop down and click on Start Creating… button, to start creating the image backup. The backup might take a while depending on how much data there is to backup. 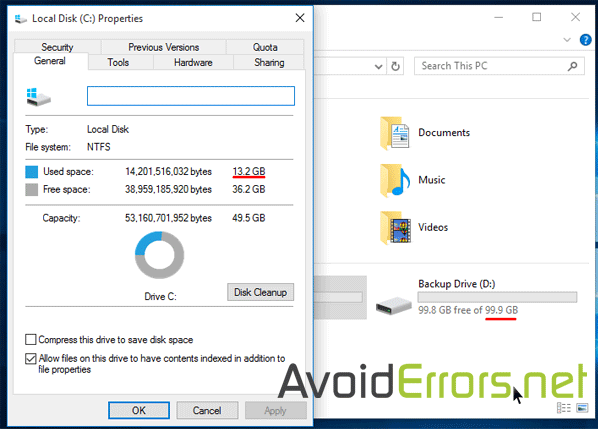 Once it finishes your backup will be created on the Backup drive or specified location. 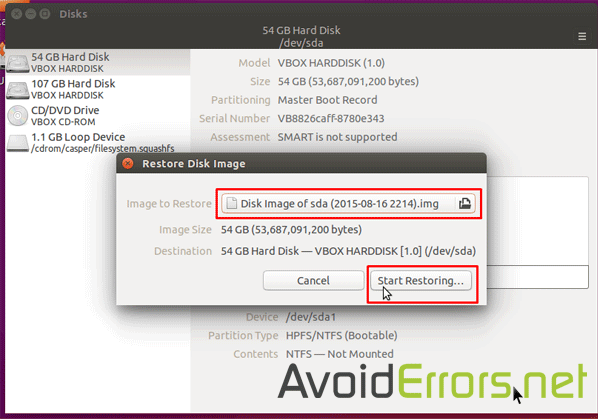 To restore from this back up you would need to repeat the same process but instead select Restore disk image..
and select the image you created earlier. Note: you can create as many images you like.